When Pope Francis said Christian Right Have Illness, Who comes to mind? Can you think of anyone when Pope is calling right-wing, fundamentalist Christianity an "illness." Does the name "Pat" Robertson ring a bell? Like many other thing, Pope Francis does not seem to be impressed about Christian fundamentalism. In a recent statement he actually called right-wing Christian fundamentalism a sickness. He further stated "Such ideological extremism is dangerous, not only to Christianity, but to the world"
Cap-Haitian also known formerly as le Cap, Cap-Henri and Cap-Francais is located on Haiti's northern coast. It is the capital of the Department of Nord and is located near Milot, a historic town. It has around 190,000 inhabitants with indigenous migrants from South and Central America. During the colonial rule it was an important city where it served as the capital of the French Colony of Saint Dominigue from 1711 to 1770. The capital was moved to Port-au-Prince. 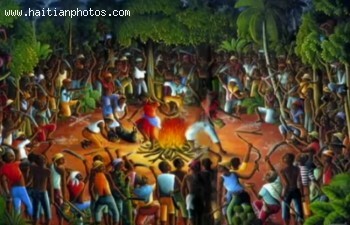 Initially, under the rule of King Henri Christophe, it was Kingdom of Northern Haiti's first capital. Infrastructure for transportation was not very good during that time. The city was destroyed by the 7th May 1842 earthquake.